Home News	What Shoes Should I Wear to a Spring Wedding? What Shoes Should I Wear to a Spring Wedding? The clocks have suddenly lurched forward, and the snow has (finally, hopefully!) abated for the year. That can only mean one thing: wedding season is about to kick off. 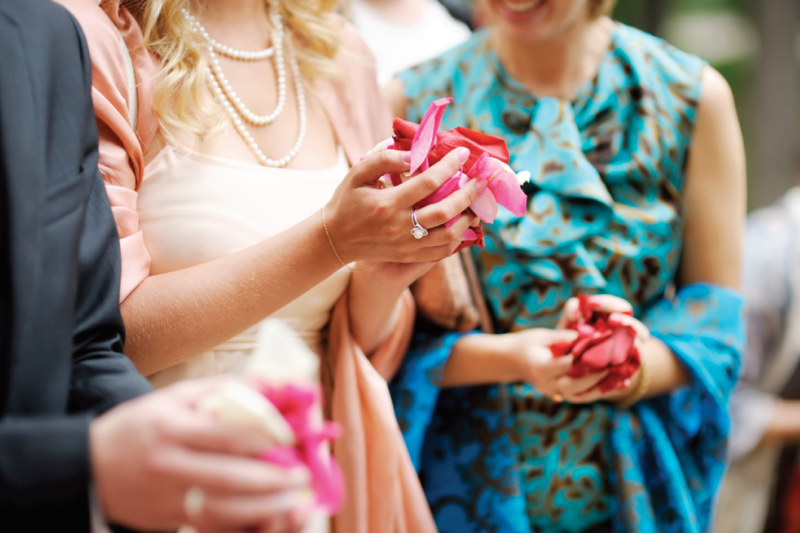 Spring is a fantastic time of year for a wedding, since the weather’s just warm enough to be hospitable (well, some of the time), and there’s little risk of the occasion clashing with everyone’s summer holiday. If you’ve got several weddings looming on the horizon, then it’s worth at least thinking about which shoes you’re going to be wearing to each of them. Different sorts of weddings, after all, demand different sorts of shoes. 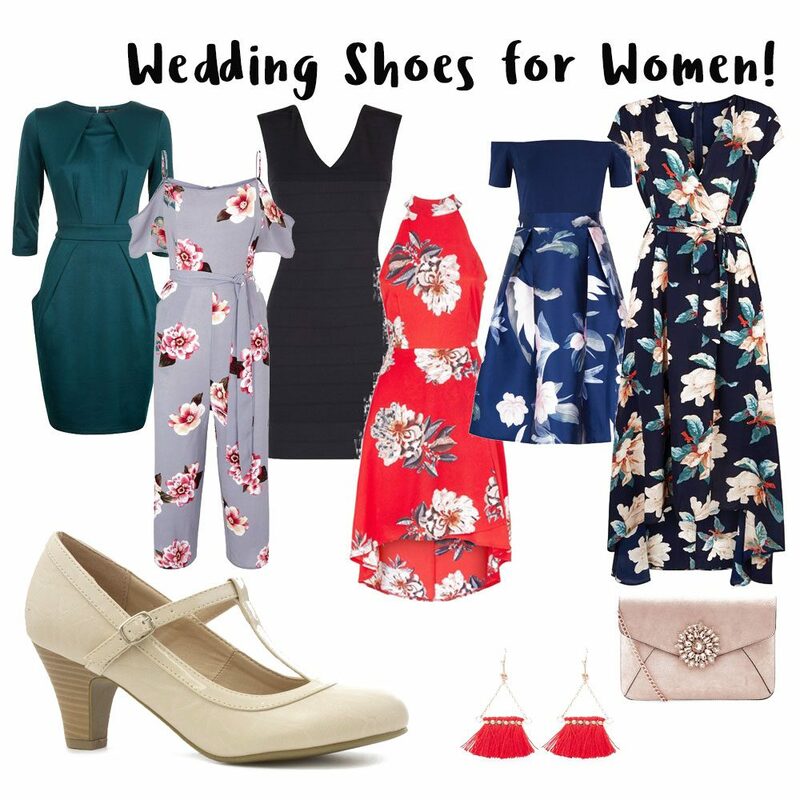 And there’s no point in putting together a succession of cute wedding outfits for spring if you don’t have the footwear to match! Happily, this is something we’ve already put a bit of thought into. Let’s consider what shoes might complement your wedding outfits for spring. What Shoes Should Men Wear for Spring Weddings? When it comes to spring wedding outfits for guys, it’s hard to go wrong – which makes it all the more unforgivable when you do! Decide what style of formal men’s shoe you’re going for. The most obvious choice is the Oxford, or Balmoral shoe, whose closed-lace style makes it a winner on formal occasions. Then there are less formal variations like ‘Derby’, or if you’re feeling casual, a pair of men’s loafers. To make matters more confusing, there are decorative touches, like the classic ‘brogue’ perforations. Despite what you might have gathered from a viewing of Kingsman: The Secret Service, Oxfords and brogues are not alternatives to one another; it’s perfectly possible to find closed-lace, Oxford shoes that are covered in broguing. Whichever style of shoe you settle upon, be sure that it’s a good match for your suit. A pair of brown men’s brogues will complement a navy-blue suit, while a pair of black Oxfords will match nicely with a black one. Of the two, black is the more forgiving – but the difference is marginal, so go wherever your heart desires. To avoid letting the side down, get a few options together, and have some essential supplies to hand for the build-up to the wedding. Make sure the shoes are suitably gleaming with the help of a tub of shoe polish and a scrubbing brush. Some replacement shoelaces will probably also be called for at some point. If you find that you’re wearing smart shoes outside of formal occasions – to the office, for example – then the investment is undoubtedly worthwhile. Whichever shoes you’re wearing, be sure that you polish them until they’re gleaming! Start by shopping our men’s shoes range here. What Shoes Should Ladies Wear to a Spring Wedding? Toweringly tall heels are a popular choice – since they often look spectacular. But you should bear in mind that a wedding goes on for an entire day, during which you’ll spend hours on your feet. Higher heels place more pressure on the ball of your foot, and after an hour or so this pressure will begin to tell. You can counteract this effect with a little padding (try insoles or gel cushions), but the chances are that you’ll be sick of your heels a few minutes into your dancefloor adventures. Moreover, it’s worth considering the surface you’re going to be standing on – a pair of stilettos might easily damage a hardwood floor – which the venue might frown upon. If your heart is set on high heels, then take along a handbag large enough to pack a pair of ballet pumps in for later in the evening! However high your heels may be, you’ll want to match them with the rest of your outfit. For maximum flexibility, opt for a little black dress. It’ll pair nicely with just about anything, whether it’s a pair of edgy ladies’ sandals or a more reserved pair of dark court shoes. On that note, while it might not be quite warm enough for sandals for a few weeks, that needn’t mean that you shouldn’t make the attempt. If you’re sporting a sufficiently bright and fun dress, and the weather’s on the favourable side, they’ll make a great match with a range of different outfits. Have we inspired you? Shop our women’s shoes range here. What Shoes Should Children Wear? 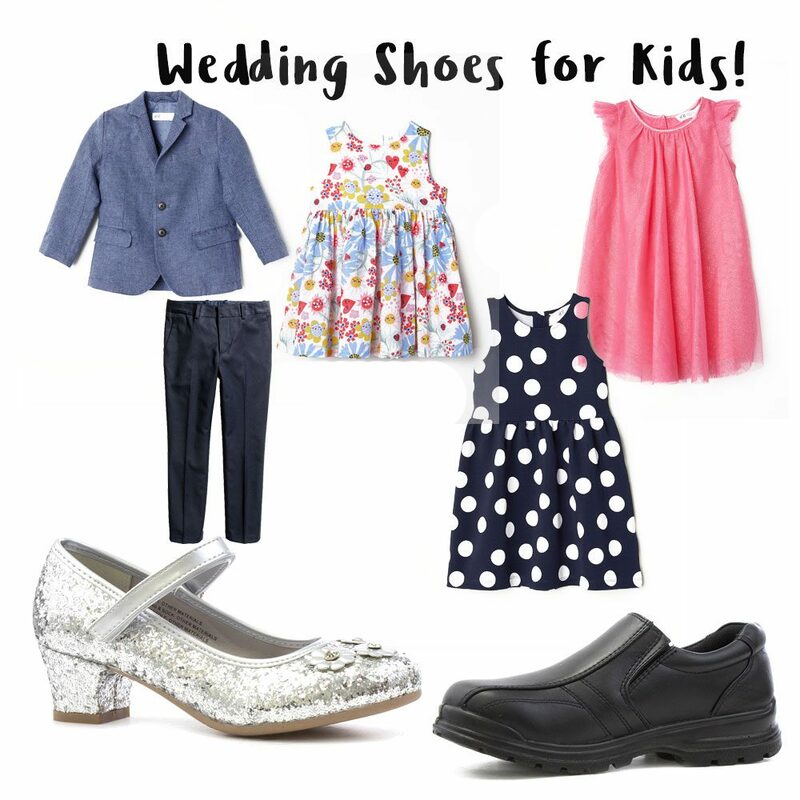 Children’s shoes aren’t a long-term investment, since their feet will grow too quickly for them to go to more than two or three weddings. Add to this the fact that they’ll be invited to fewer weddings than grownups, and that many wedding invites will explicitly forbid children from attending, and it makes sense to go for something affordable rather than lasting. But just because a pair of shoes are affordable needn’t mean that they compromise on comfort or style. A pair of sparkly girls’ ballerina shoes will provide young ladies with something to get excited about, or, as it’s a special occasion, a pair of stylish girls’ heeled shoes, complete with bows or embellishments is sure to go down a treat. Make sure she’s got a flat pair to change into for running round or hitting the dancefloor later on though! Boys can’t go wrong with something smart in black, just like their dads, uncles and older brothers. Smart black shoes will get them through the school year, too. Be sure to help them with maintaining their shoes – as this is a habit that’ll prove useful for the rest of their lives! Need some new shoes for your little ones? Try our boys’s shoes and girls’ shoes ranges! Thus far we’ve focused mostly on traditional attire that’ll get you through most weddings in style (or at least, without suffering ridicule). But not all weddings are alike, and some demand a particular sort of shoe. Some couples feel under increasing pressure to stand apart and be themselves, while others are determined to take things up a notch. If you’ve been invited to a slightly different sort of celebration, then read on! The ‘black-tie’ dress code has long been the gold standard for swanky occasions. For most of us, it calls to mind high-school proms, and the bits in James Bond films involving poker and martini. It leaves little to interpretation, since everyone, pretty much, is expected to look the same. In one sense this is fortunate, as it makes your choice a great deal easier. In another sense, it’s unfortunate, as any deviation from the norm will be glaringly obvious! If you’re a man, then go for something simple and black. Avoid broguing and thick socks and you can’t go far wrong. Women, as ever, have a little more leeway – but black is a sensible, safe choice for both your dress and your shoes. It might not be beach weather just yet in the UK. But that doesn’t mean you won’t find yourself witnessing a wedding on sunnier shores. 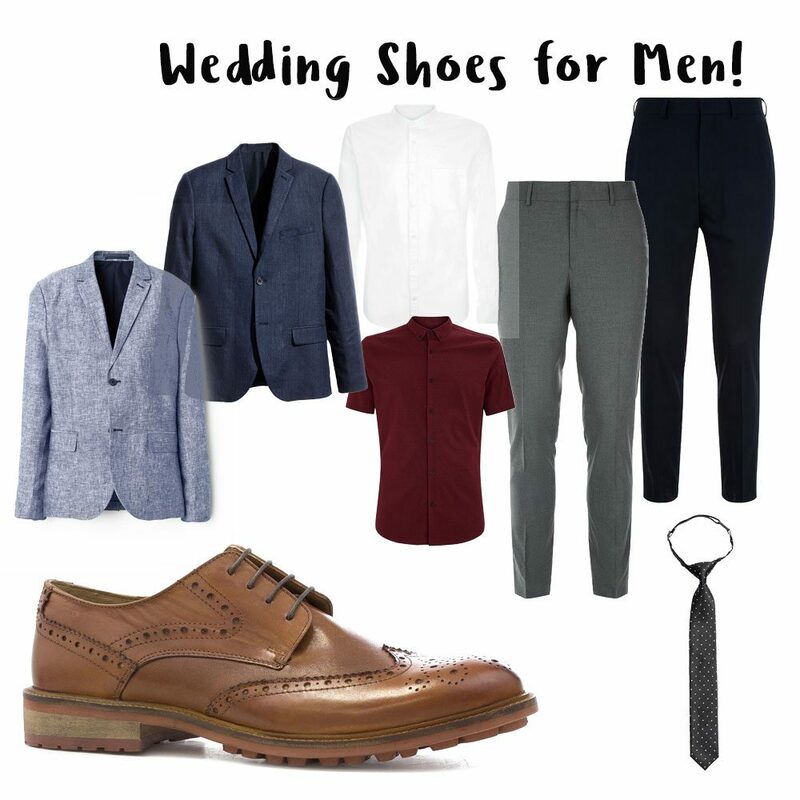 In this case, you’ll want to match your lightweight wedding attire with a suitably casual pair of shoes. Men’s loafers or deck shoes are always a good choice to complete a sunny wedding outfit for the gents, while ladies might opt for something strappy and showy, or a pair of embellished ladies’ flip flops, wedge sandals or mules. Increasingly, brides and grooms are opting to shun flashy formality in favour of a more relaxed setting. If you’re attending such a low-key wedding, then you’ll be able to get away with all manner of coloured shirts, skirts, and jeans. Even short-sleeves are acceptable. And the rules on footwear are similarly restricted. For men, gents’ canvas shoes will match nicely with a pair of dark-coloured jeans, as might wedge-heels or ballerinas for ladies. Be sure that everything’s nicely coordinated and that you aren’t going too informal. Casual spring wedding outfits should ideally be done in collaboration – be sure to get hold of the guest list and ask other attendees what they intend to wear. That way you needn’t risk being the only one to turn up in a pair of deck shoes when everyone else has gone with desert boots. It’s worth bearing in mind that ‘informal’ shouldn’t imply scruffiness or a lack of basic cleanliness. Be sure that your smart-casual shoes are suitably cleaned and scrubbed. Canvas shoes in particular have a habit of attracting dust and grime over the years, particularly if you’re wearing them every time you step out the door. Treat yourself to something sparkling clean and new, and you’ll look effortlessly smart. If you’re looking at the wedding invitation and wondering whether it’s demanding something a little on the unusual side in terms of the dress code, then be sure to get in touch with the wedding planner (or the bride and groom themselves) before you settle upon an outfit. If you’re hesitant to shell out a fortune for flashy shoes, then look at it as an investment. If you’re only going to be wearing them for a handful of occasions each year, then the chances are that they’ll last for a decade or more. Once they’re bought, you’ll therefore never need to worry about settling on a pair of wedding shoes again!